This is one church’s story…Now tell us yours. Here’s a story (well, a summary of a story) brought to our attention by Leanne Johnston, the Youth and Young Adults specialist here at the CTC Service Center. While it a story from a church outside the borders of the Central Texas Conference, it’s a narrative that might hit home with too many of us as it is a story of a once vibrant and vital congregation that has been facing decline and irrelevance during the last 30+ years. But it is also a story that some in our conference will find familiar as it is a tale of a congregation that is determined to not go quietly into the good night but rather decided to revitalize its processes and worship and focus outwardly to its community. Like many mainline congregations, First United Methodist Church in Lebanon, Tenn., peaked in the mid 1960’s. Then, during the next 36 years, the church slowly grew older, smaller and more internally-focused. The median age of the congregation increased, membership and worship attendance decreased and the congregation’s primary focus shifted to its facilities. In 2001, that trajectory changed. During the past 10 years the church’s median age has decreased, membership has increased, worship attendance has doubled and the congregation no longer focuses on its facilities but on the church’s mission. So how did a 200-year-old, declining, county seat, mainline church get its groove back? By boldly embracing its United Methodist identity while intentionally implementing the following seven strategies. Dream a New Dream – dream of more than just keeping the doors open, dare to dream to become a vibrant, grace-filled, growing mainline that missions to its community and world. Determine a Niche - no church can be all things to all people, therefore, every church must discover its own unique niche that best serves what the people of its community are looking/hungry for. Renew Worship - establish a worship pattern and style that meets the needs of the current congregation but also attracts those in the community seeking a home for worship. Emphasize Evangelism – if evangelism proves to be a scary word at your church, try using “inviting and welcoming” as an alternative. Connect People to Small Groups – a great way to experience Christian community is to participate in a small groups such as Sunday schools, music groups, Bible study groups, men & women’s groups, youth groups, knitting & sewing groups, art groups, senior adult groups and short-term groups like marriage enrichment and financial planning classes. Minister to the Community - as Jesus inconveniently reminds us, church is not all about us but all about others. Engaging in community ministry is an important part of the revitalization process. Organize for Results – determine a goal, make a plan and adapt that plan as situations dictate. Now then, this is NOT to suggest that the seven steps above were brought down from Mount Sinai and written in stone. 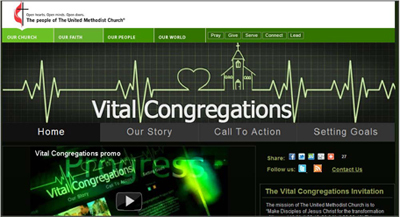 Rather this is just an example of what worked for this particular congregation. The point of this tale is that they recognized the need to revitalize, made a plan and took the steps do it. There are myriad methods and tools to go about this, some – like Vital Congregations - you’ll be hearing more about in this forum in the coming months. This is the type of narrative that inspires and helps other congregations that are struggling to rally and revitalize their congregations. 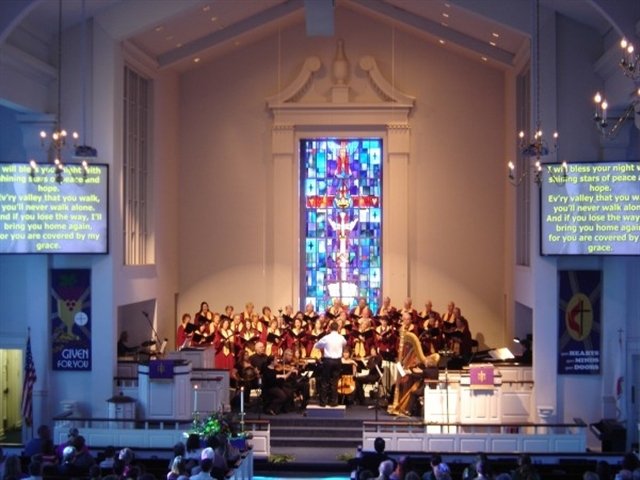 Do you have a story like First UMC in Lebanon, Tenn.? If so, please share it. Send it in to the CTC Communications office or, better yet, as you become more and more familiar with the Vital Congregations tool, share your story there in written or even video formats so that folks within our conference and even those not fortunate enough to live in the CTC can learn from and be inspired by your efforts and success. 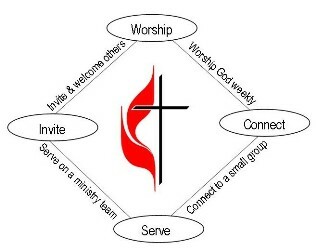 If you’d like to read more on how First UMC Lebanon got it groove back, please see this article from ministrymatters.